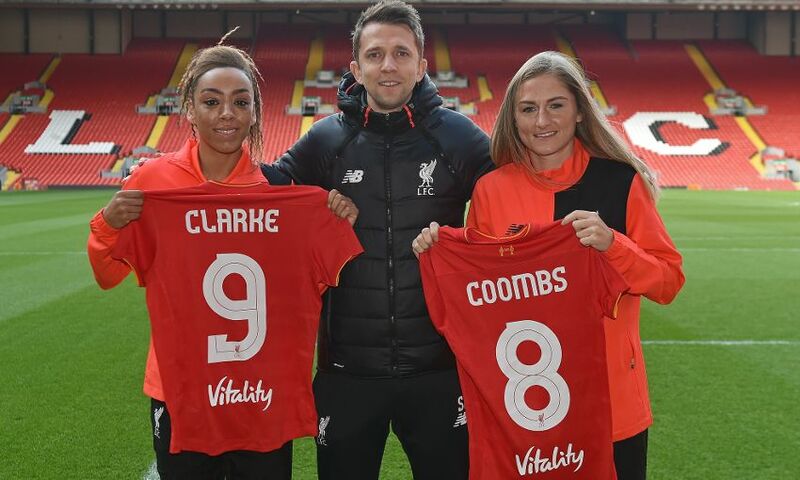 Liverpool Ladies have completed the signings of England international duo Jess Clarke and Laura Coombs. Clarke, 27, joins the Reds from Notts County Ladies to bolster the team’s attacking options ahead of the upcoming FA Women’s Spring Series. Midfielder Coombs spent the 2016 season on a year’s loan with Scott Rogers’ side and has now returned to the club in a permanent move. Clarke is a clinical striker who came through the youth setup at Leeds Carnegie Ladies before joining Notts County Ladies in 2010, spending the last six seasons with the Lady Magpies. She said: “I am delighted to join Liverpool Ladies and I’m really looking forward to working alongside the players and Scott. 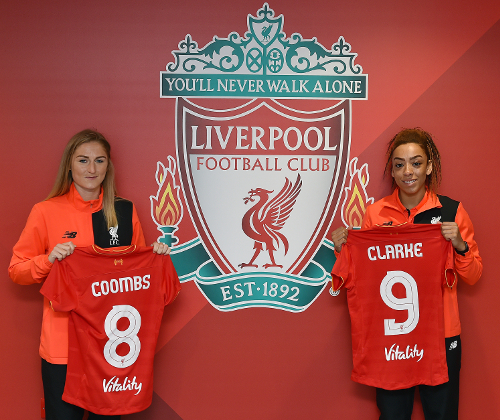 Coombs said: “I am absolutely delighted to have re-joined Liverpool Ladies on a permanent deal. Last season I felt as though my game really developed playing regular football, so I am really excited about moving here permanently. Ladies manager Rogers said: “These are both fantastic signings for the club. Jess will give us more options up front and I am confident that she can prove to be a really important addition to the squad. “Jess is lightning quick, as well as being clinical in front of goal. She is also proven in the FAWSL, so I am delighted to have signed her ahead of the upcoming Spring Series. “I am also really pleased that we have managed to re-sign Laura on a permanent deal. She played a key role for us last season, so we are delighted to welcome her back into our squad.